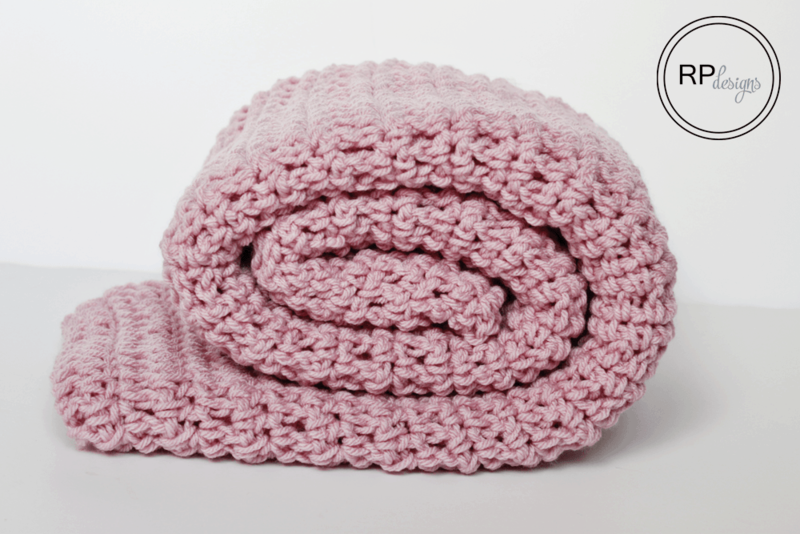 I love designing simple crocheted blankets like these 7 crochet blankets I previously blog about and this pattern fits perfectly into that category. I used a worsted weight yarn that was given to me as a gift which is no longer available so I recommend Lion Brand Vanna’s Choice as a substitute in its place or even Red Heart Super Saver would even be great too! Learn how to crochet with Rescued Paw Designs! Get a Kit! WANT TO MAKE A DIFFERENT SIZE? If you decide you want this blanket bigger or smaller just start with any even number of starting chains. 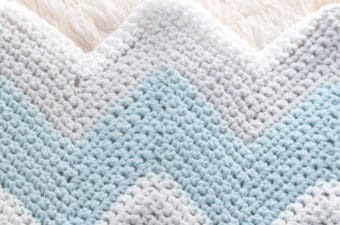 If you do decide to make this crochet throw smaller it really would make the cutest crochet baby blanket! Promise! 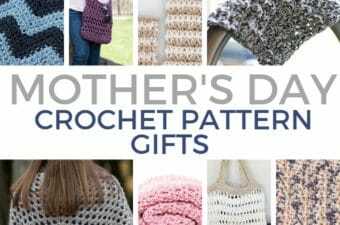 🙂 You will not be disappointed with this double crochet blanket pattern, I promise! 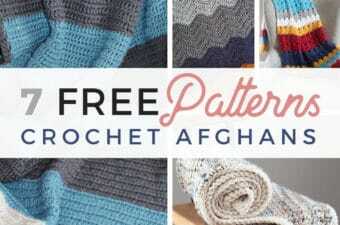 Click “HERE” to add to your Ravelry library to make later! Approx. 600 yards of worsted weight (4) yarn. I used a yarn that is discontinued, but Vanna’s Choice Lion Brand Yarn in Dusty Rose would be a perfect substitute. Pattern is worked between the chains / stitches of every row and not into the actual stitches. Chain an even number to make this blanket bigger or smaller. Repeat rows 2-3 until you reach your desired length. 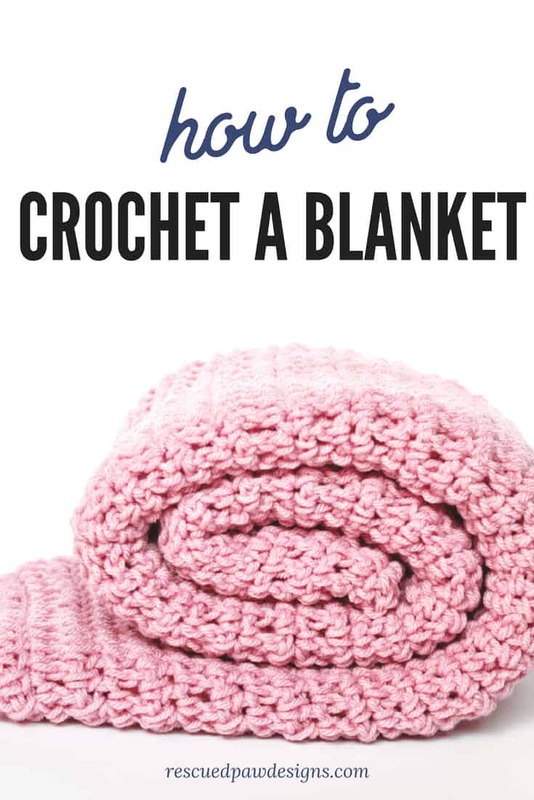 I hope you enjoyed this crochet blanket tutorial. 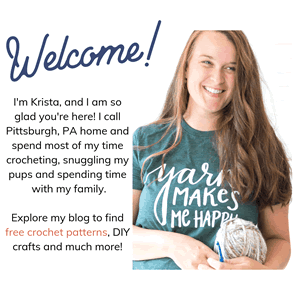 If you liked this crochet blanket pattern you may also like some of my other like the Neutral Chevron Blanket or the Charlotte Crochet Blanket! If you have any questions, feel free to ask! Happy Crocheting! How did your blanket turn out, Steph? I’m going to try it. Thank you for sharing this pattern, I’m about 1/4 of the way and I’m really happy with the way it is turning out. Have you ever made this with border? Do you have any suggestions for this? I haven’t tried this yet but love your hat. Do you have some simple hat patterns for heav yarn? Hi! All of my patterns are written in US terms. 🙂 Happy Crocheting! I’m completely new to this, and I’m stumped on row 2. After sc in spaces from dc, I’m supposed to repeat it again? So two rows of sc make row 2? No you will only do one row of single crochets in the spaces then start row 3 by double crocheting in each single crochet stitch from the row before. Hope this helps! The ch3 part made the edge of the blanket go up into a point. I’d done about 11/12 rows before I realised something was wrong. I’m a beginner so it takes me a long time. I’m so slow that I could be doing it for hours and the progress would be non existent. I didn’t frog it, I’ve just carried on but instead of ch3 I’m ch1 instead. Seems to work better. Bit gutted that it won’t be perfect but you live and learn. The chain 3 is to bring up the blanket to the height of the double crochet for that row. If the double crochet is tight or the chain 3 loose it could throw of the look of the row. I am glad it worked out for you though! Happy Crocheting. Can you let me know if you will be doing a YouTube tutorial? I am new to crocheting and can’t read a patter. Hi, first off, I love this pattern. I’m having trouble keeping the edges square and even. It seems that all of the “chain 1” are on One side and all of the “chain 3” are on the other. This makes the blanket shorter on one side than the other. Any recommendations for how to correct this? The sides should be even. When you are on the ch 3 side you crochet in the first stitch (not any of the chains you just made) and the same goes for the ch 1 side. Do you have a picture I could see?